Can You Stand Another Ida? The monogamous knitting continues! Here is the latest Ida's Kitchen hat, knit again in Berocco Ultra Alpaca Lite. Why so many of these? Next week I'm going Up North with some friends, where we hope to spend a lot of time cross country skiing. I'm planning to pull out my pile of Ida Kitchens and let my friends pick one if they want. In the meantime, I'm luxuriating in the first week of winter break. My daughter Rachel is home for the whole week, so we have been shopping and movie-going and playing Set. This is her first year out of college, so it's the first year she hasn't been home for a month at the holiday time. I have kept my schedule very open so I can spend as much time as possible with her. I've seen a lot less of Seth, who goes to school right here in Madison. He is planning to apply to vet school next fall, so he has been busy volunteering at the zoo, the Humane Society, and a local veterinarian's office. My job is really hard, but I have to admit that the breaks are nice! The warmest wishes to all on this winter holiday! 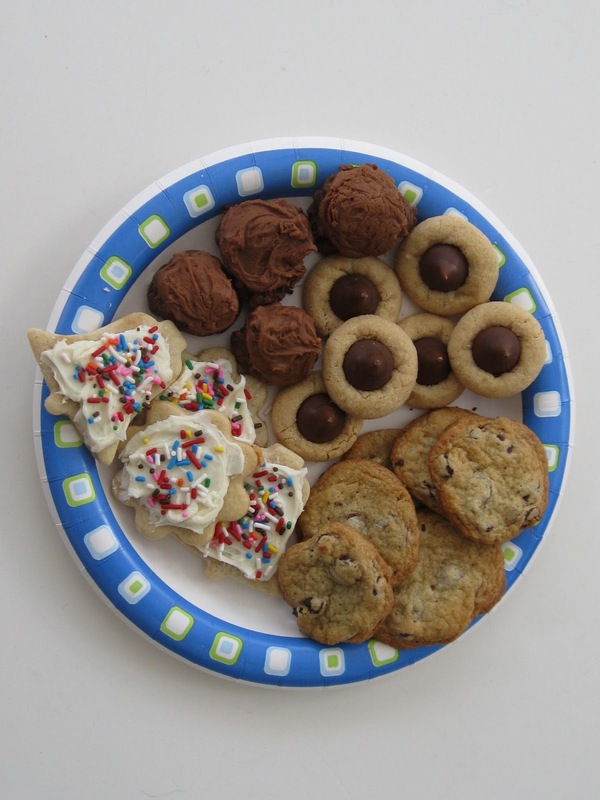 May you be surrounded by loved ones and good food! It's a Honey Cowl in a Madtosh worsted. Can't find a band ball, but it's a pretty blend of reds and purples. It took me three tries to get this one going. I accidentally twisted the stitches when I joined it to knit in the round on the first two tries. So, for this one, I knit the first two rows flat, as you can see by the little V at the bottom, right where the row changes. I think I've been monogamous, in part, because I really, really would like to wear this cowl this winter! This was the view from my house yesterday, before the snow was even done falling. The forecast of a blizzard was accurate! It snowed and snowed and snowed, sometimes with startling force. 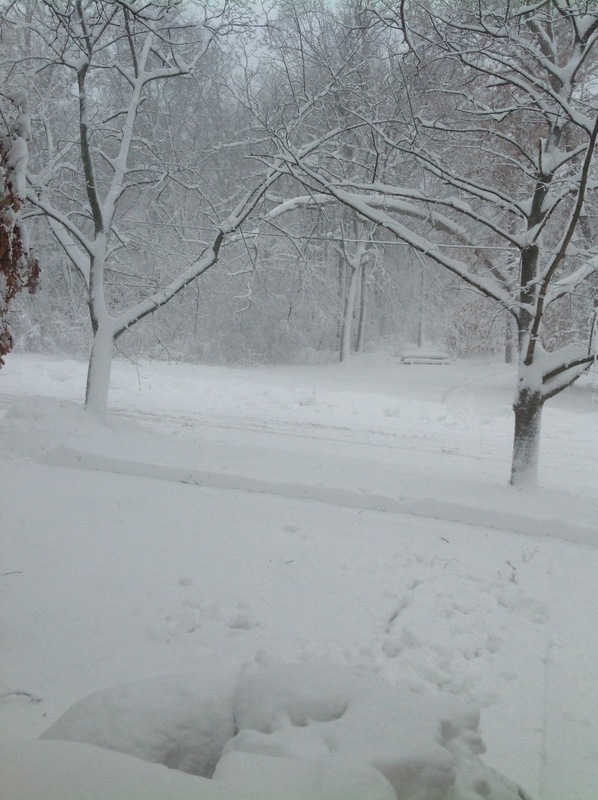 It is absolutely gorgeous -- and thanks to Keith and his snowblower, I was able to enjoy it it in full. 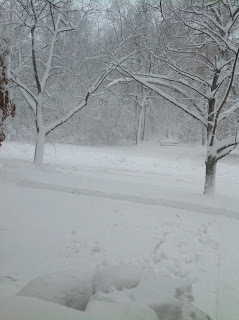 It was a wet, heavy snow and having to shovel 15 inches of the stuff would have ruined my snow day! The snow day was yesterday, Thursday, and we were all dreading having to come back for one day before our two-week winter break. However, because of high winds and drift, we have today off, too! It feels great to have such a long break, but I know that it will make that much harder to return in January. Don't get me wrong; I love my work. But it is hard and emotionally draining. Why the two-week blogging lapse? Between working long days, selling jewelry, and getting all the gifts wrapped and sent, I just couldn't find the time or energy! 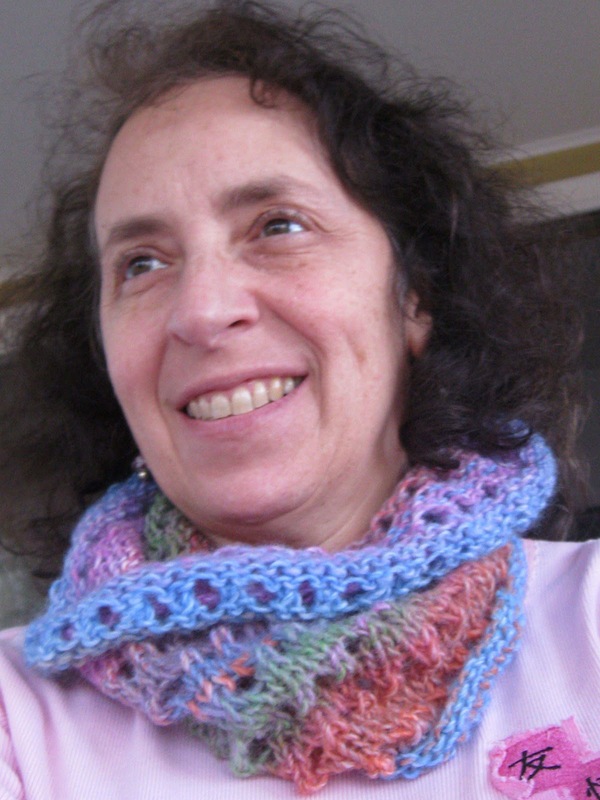 Full disclosure: I finished this weeks ago, but this is the first photo of the cowl being worn. The yarn is Amazing by Lion Brand. It is actually pretty soft after a soaking in Eucalan. Urban Gypsy designed this as a stash buster, so you might want to use it that way. 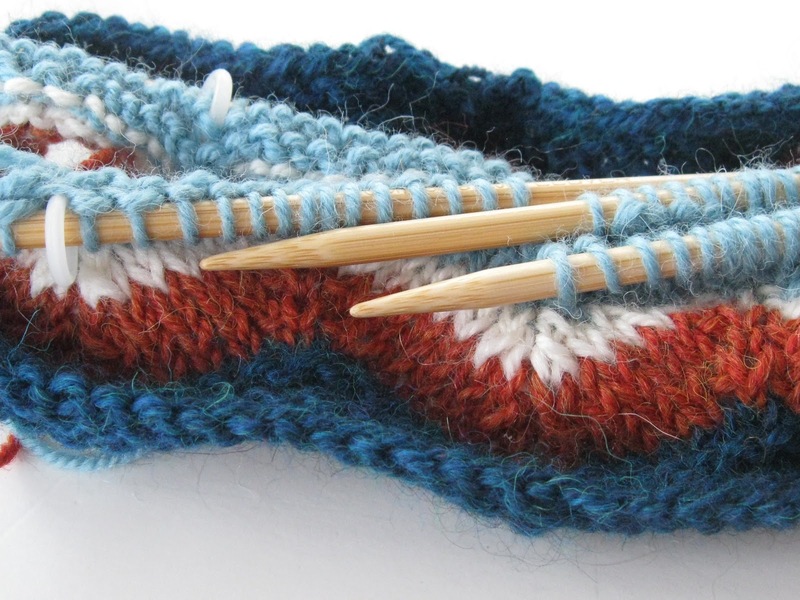 Whether you chose stash or new yarn, it is a great last-minute gift. 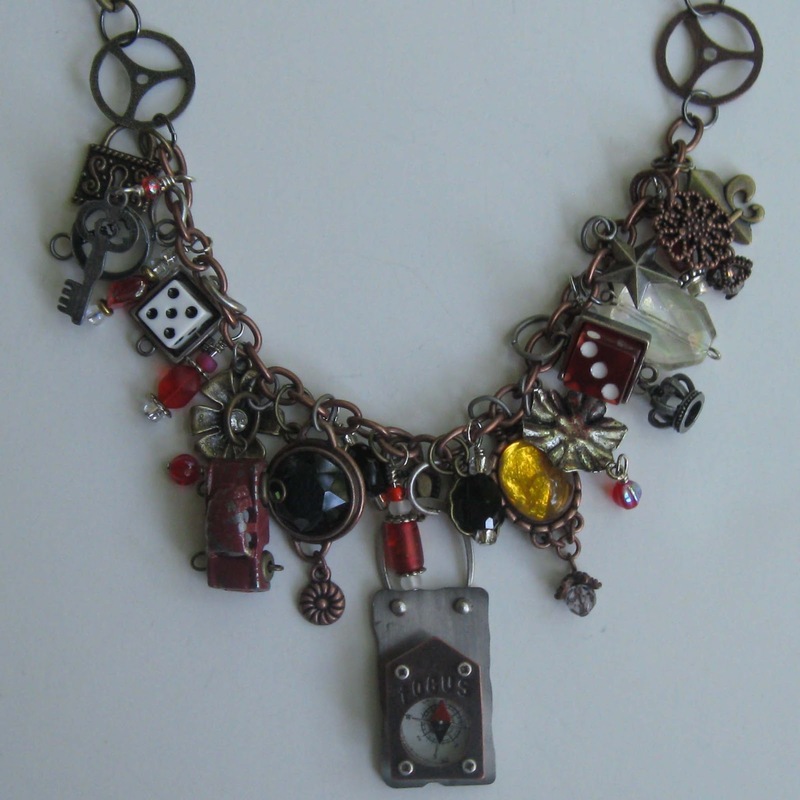 People have raved about this piece. Strangers have walked up to me for a closer look. And what they see surprises them: It's made of buttons. Apparently, the dangles look like barrel-shaped glass beads! I love buttons almost as much as I love beads. 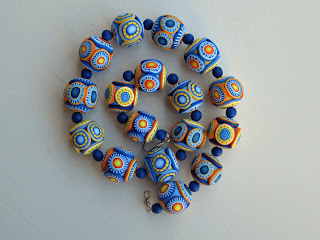 I devised these dangles because I had been noticing that I rarely used the really small buttons, and I was beginning to have too many of them left over in comparison to their larger counterparts. So one day I just spilled a bunch of them onto my desk and starting playing. The process turned out to be addictive and now I am almost completely out of small buttons! New problem: What to do with all those larger buttons? 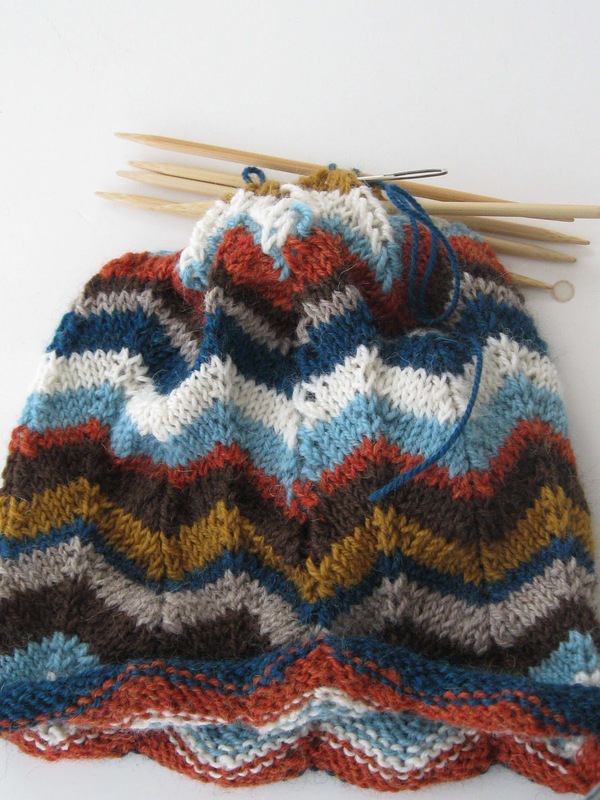 When I bought my first batch of yarn for Ida's Kitchen, the hat designed by Kirsten Kapur, I hoped I'd like it. Because it takes seven colors, I knew I'd need to make a handful to use up all those partial skeins. Fortunately, I love the pattern. The striped hat uses up much of my original yarn. The solid pink hat is for my daughter, who has very subtle taste. It looks boring, but this hat has the cutest silhouette ever! The yarn is Ultra Alpaca Light. The pattern calls for Blue Sky Alpacas Sport Weight, but I've been so happy with the Ultra Alpaca that I haven't been tempted to go for the more expensive Blue Sky! There is an interesting conversation on Ravelry. Someone asked what we would knit with if we could only knit with one yarn. The answers range from Madelinetosh Vintage to Lion Brand Wool-Ease Worsted. You gotta admire the knitter who proudly claims a workhorse yarn! I'd go with a dk because it works for both socks and sweaters. 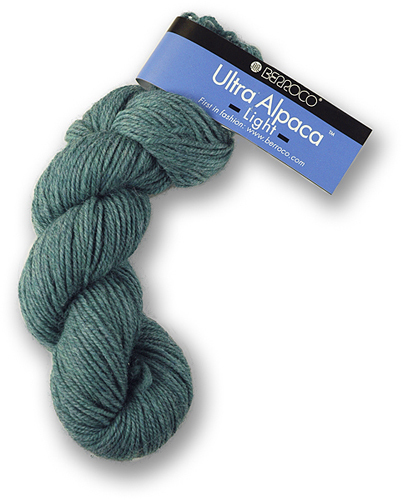 I love this one because it has the loftiness of alpaca with the shape-holding qualities of wool. You can follow the conversation here. So, I spent today selling jewelry at a very nice art show. It was a good day -- most profitable show I've had yet -- though I won't be resigning from my day tomorrow (as I had fantasized!). 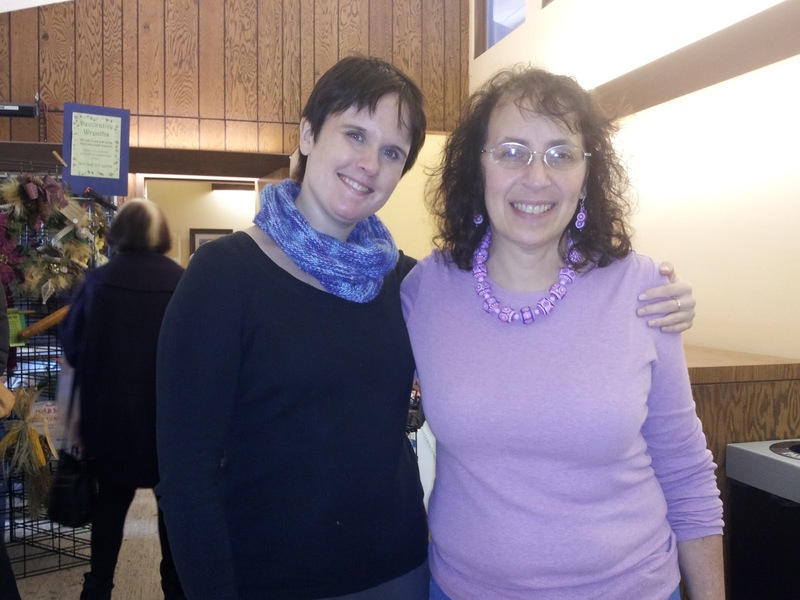 This lovely young woman walks up to me and says, "I know you from Wordpress!" I have a feeling that was my 15 seconds of fame. It was CaityRosy of All She Wants To Do Is Knit. And she needs your help. She has just gotten engaged and is trying to decide what to knit for the occasion. She has three candidates posted on her blog. Go one over there and help the girl out! There's just over a week until my one jewelry show of the season, and I'm a bit frantic over getting everything ready. It doesn't help that Thanksgiving is LESS than a week away -- and we have quite the family gathering planned. 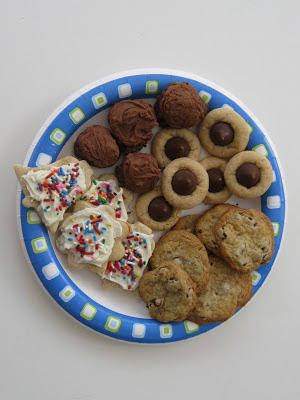 I'm only committed to making a couple of dishes, but I'd love to bring cookies and other treats. 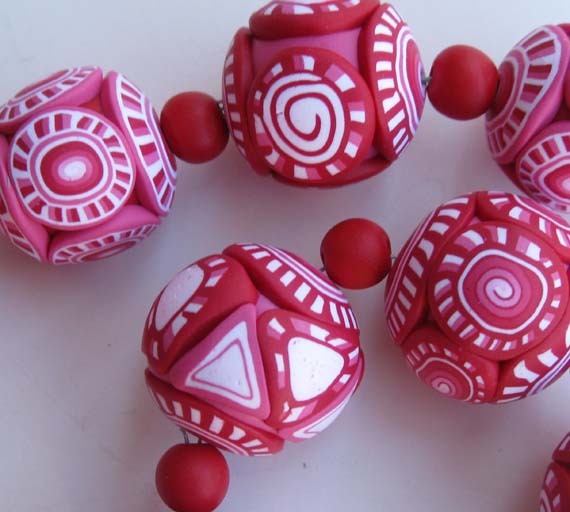 I should probably be working on my display, but I've been stringing beads at every opportunity! Being Jewish, I'm not comfortable being real Christmas-y, but I figure red and white can go beyond the holiday season. I just know that I will have either way too much jewelry (and come home with full bins) or way to little. I'm hoping for the latter! For the first time in more than a year, my friend Marsha and I went to the Madison Knitting Guild last night. For new readers, we have been told we have the largest guild chapter int he world, with about 500 members. 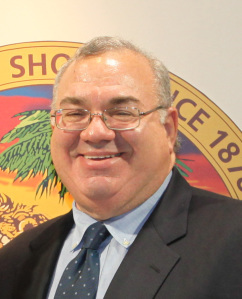 Meetings draw 200 to 300 members. With those kind of numbers, we get amazing speakers! We had a surprise speaker last night: Jack Blumenthal of Lion Brand Yarns, and he really opened up my eyes and mind. ﻿ First of all, I had assumed Lion was just another big company. Not at all. It is a family-run business in its fourth generation! I was impressed by how consumer-oriented and down-to-Earth Blumenthal is. Jack himself is clearly devoted to the business and very knowledgeable about the yarn world. However, asked if he knitted or crocheted, he replied, "Well, I've had a a lot of lessons..."
We also learned that there is a lot more to Lion Brand than the yarns we see in our local big-box stores. For one thing, the company has a drop-dead beautiful retail store, the Lion Brand Yarn Studio. In November alone, the Studio offers 49 classes! Unfortuantely for me, it's located in New York City, so I can't jump in my car to check it out. And who knew that Lion offered some high-end yarns? There is a pure cashmere, a washable wool, a silky mohair -- all at very reasonable prices as part of the LB Collection. Luckily you don't have to get to New York to buy them; they can be ordered through the company's web site. Let's face it, many knitters like to turn up their noses, especially when the Homespun yarn is mentioned. 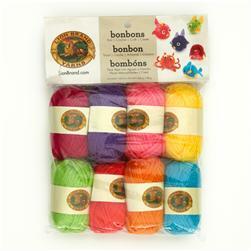 But given the success of the company, it's clear that Lion Brand yarns meet the needs of many, many knitters. And I have to confess: My favorite baby blanket is made with Homespun -- and it is stunning! Oh, and about that adorable picture at the top? That is a package of Lion Brand Bonbons. Incredibly cute little skeins of yarn. They are marketed to crafters who only need small amounts of yarn, but I think they are too cute to use! Yes, I realize my hair is a mess in this photo but it was really windy! More importantly, for the first time in a long time, I have an FO to show off. This is Coleus by Kirsten Kapur of Through the Loops, and I am thrilled with it. It is a larger shawlette, which took me close to two skeins of Madelinetosh Sock yarn in Lapis. 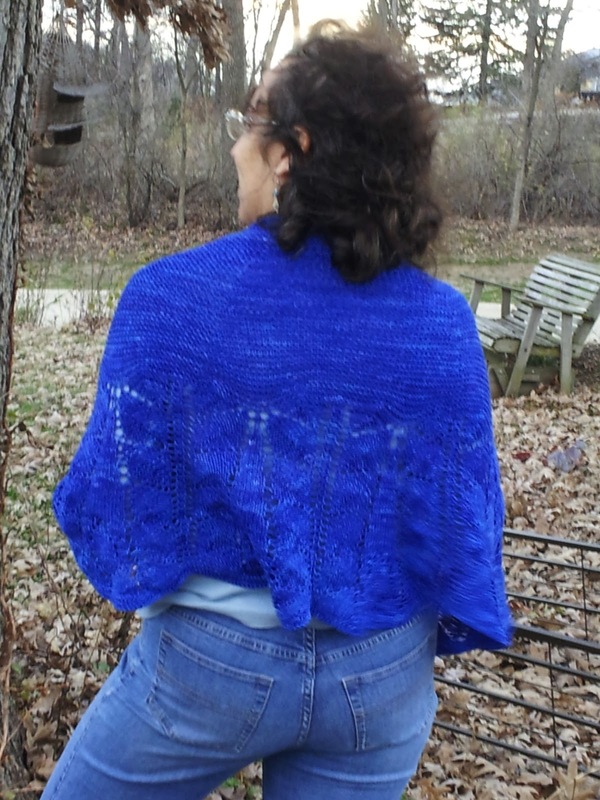 I picked up the yarn a few years ago at the amazing Article Pract in Oakland, California, which makes the shawl extra special to me. Kirsten is one of my favorite designers. Her designs are not only beautiful, but beautifully written. This was much easier to knit than I expected, thanks to Kirsten's skills. Other great Kirsten patterns that I've knit are the Reykjavik Mittens and the Ida's Kitchen hat. 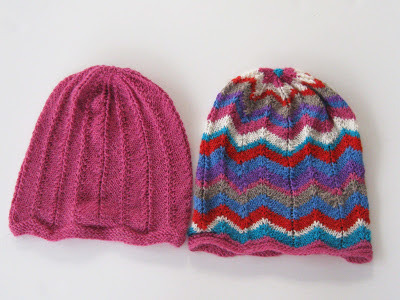 I've knit both of those twice and am working on my third Ida's Kitchen. I highly recommend both! I wear jeans a lot, so I plan to show off this baby! P.S. Many thanks to my good friend, Debbie, for shooting this photo when she had more important things to do! I spent much of my weekend in Beloit, keeping my mom and dad company. My dad is in a rehab center after having surgery on both his knees. Both he and my mom are facing a long, painful process! I'm always surprise by how long the process takes me. However, it does mean I have a pile of FOs to share! In parting: You know winter is around the corner when you have to resort to crummy flash photos! Let's start with a disclaimer: I know that I'll be lucky if I ever make enough money for my jewelry-making to be self-funded. 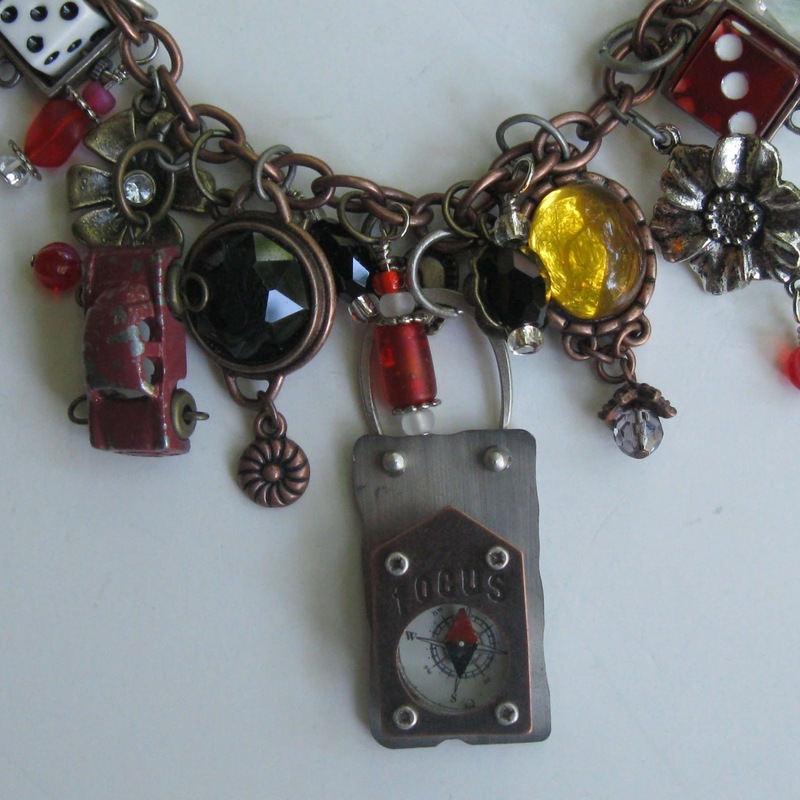 I have no illusions about making a living off of jewelry. These couldn't be more different from my polymer clay work. 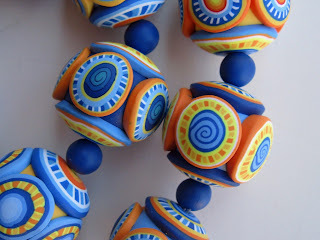 Where my polymer clay beads are all about color and pattern; these are about texture and shape. Where my clay beads are unique and hand-made, these are made with purchased pieces. But they are so much fun to assemble! Part of me thinks I should give up selling the steampunk-type necklaces, but last year, a woman bought one for $95! So that gives me a reason to put them on the table one more year. 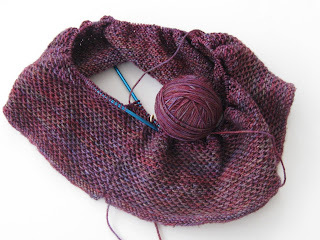 Favorite Cowl has been in my queue for quite a while. 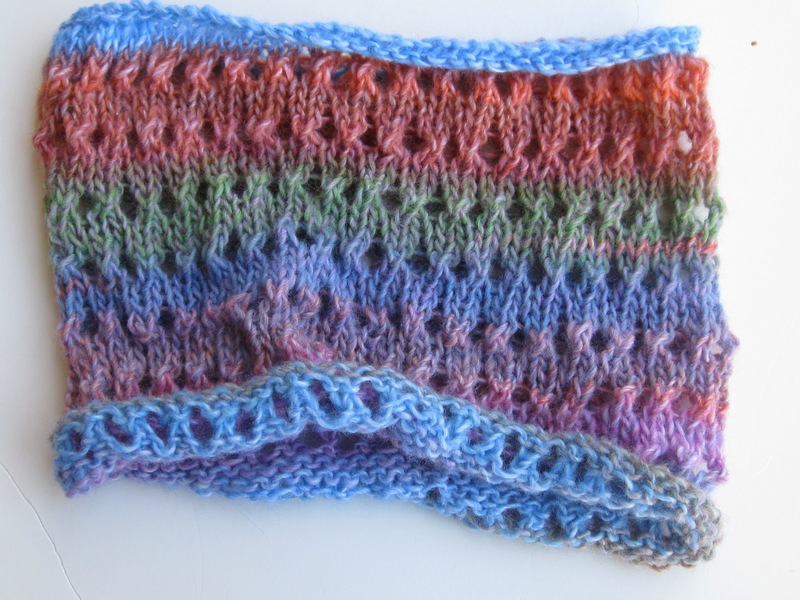 It's an incredibly easy pattern, perfect for a gift. 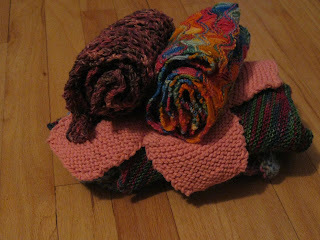 The versions I like the best on Ravelry used Noro Silk Garden. Seeing as I haven't had time to shop for yarn, it seemed like a good opportunity to check out Lion Amazing, which is available at a nearby store. It goes for a similar look -- longer stretches of each color that change gradually. I think the finished product is quite pretty, although the colors lack that amazing Noro brilliance. What I really want to find out is how well this yarn softens. 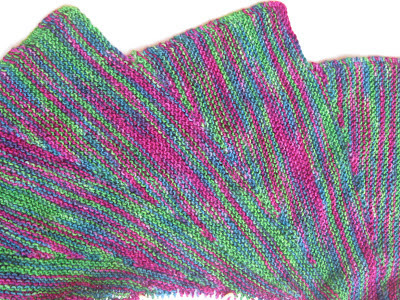 In its just-knit state, it is somewhat scratchy. Hopefully I'll get a chance to soak it this weekend. Today, though, I'm in my hometown (Beloit), hanging out with my dad at the rehab center. He'll have to be here for four to six weeks, until he is mobile enough to go home. At this point, his legs are in braces and he can't even stand. It's going to be a long haul! Also, when I get back to Madison, I'll do some stash-busting to reward those of you who correctly guessed that the swatch in the picture was Wingspan.